In our quest to understand better Tudor royal tents, The Portable Palaces Team have been visiting surviving early modern tents around Europe. The first of these tents is in the wonderful city of Basel, in north-western Switzerland, famous for its art galleries, architecture and museums. 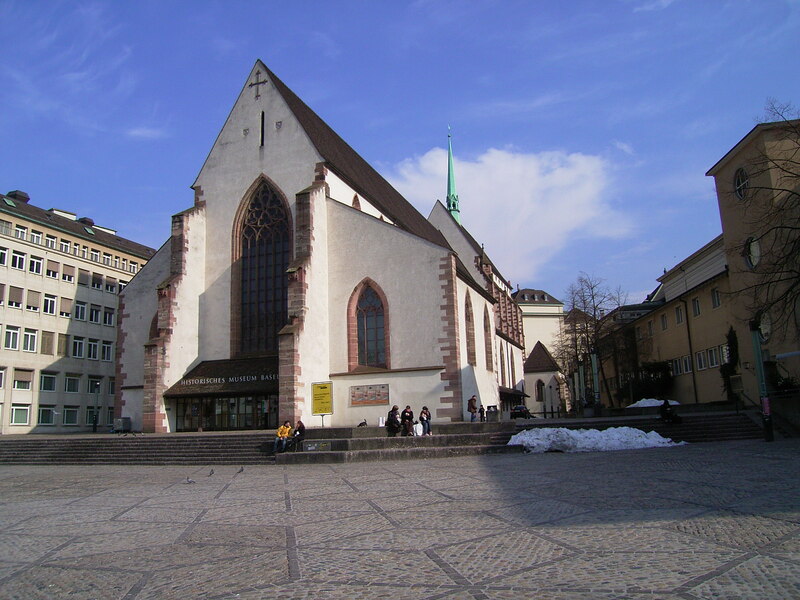 Basel hosts nearly forty museums, including the Historisches Museum Basel (History Museum Basel) within the Barfüsser Church. 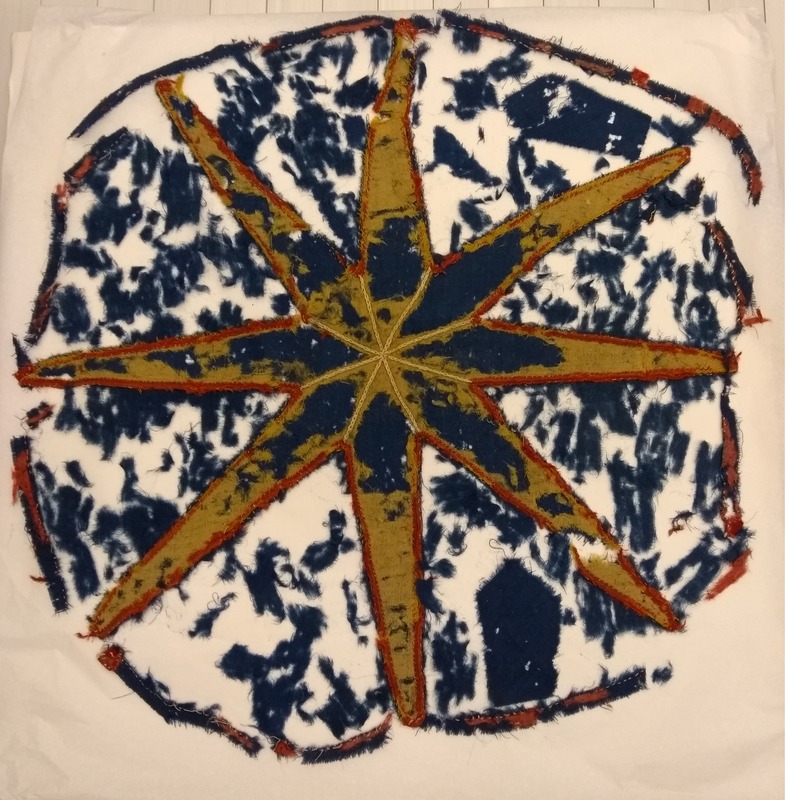 Among the museum’s fascinating collections, which tell the story of Basel and its people, is the object we went to see: the Tent of the Guild of the Golden Star. The team spent a fascinating day examining the tent with members of the museum’s staff including: Gesa Bernges (Conservator of textiles), Martin Sauter (Conservator of arms and armour), and Jonathan Büttner (curatorial research assistant). We learnt a great deal about the construction of the tent, and its captivating history. The Guild of the Golden Star? Like other major European cities, Basel was home to a host of trade guilds which had, since medieval times, been an important feature of its economic and civic life. Guilds were associations of craftsmen and merchants which helped to organise and regulate specific trades. One such association was the guild of the Barber-surgeons, later renamed: The Guild of the Golden Star. Why did the guild have a tent? Tents were, and often still are, an essential feature of the battlefield providing shelter, storage and a place for holding meetings. Given the surgical expertise of the Guild of the Golden Star, their tent may well have been used for operations in the field. What does the tent look like? The Guild’s tent is round with a conical roof and stands at over 17½ feet tall. The tent is first mentioned in an inventory of 1655, but in likelihood it is considerably older. It has been repaired many times during its history, evidence of its continued use and significance. It is an elaborate assembly of various unbleached hemp linen canvas fabrics. The individual panels are from top to bottom connected together with cloth tape that has been dyed indigo blue. A wreath of matching blue flames runs around the top of the cone. The tent displays the arms of the guild: an eight-sided golden star on a blue shield, edged with red. Although the arms shown on the tent are a later restoration, the original arms have been kept in the museum. This incredible survival is a beautiful and delicate assembly of vivid dyed woollen cloths and perhaps even some red silk ribbon. The top of the tent is surmounted by a wooden “pot” covered with leather and studded with iron nails. This contains a square niche for attaching an iron “vane” which also sports the arms of the guild. The Portable Palaces team are very grateful to everyone at the Historisches Museum Basel for their hospitality, and for helping us to understand their fascinating tent. 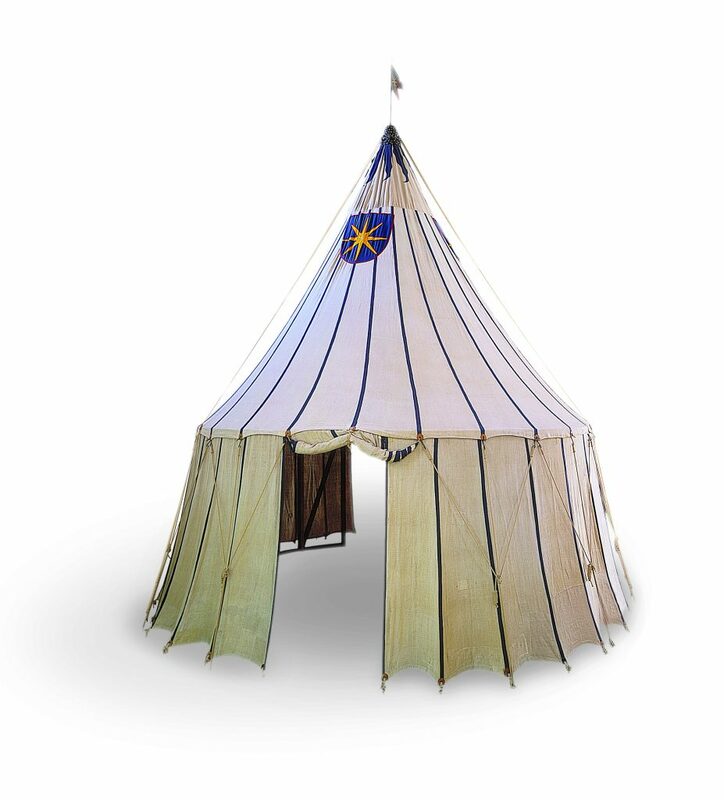 We are now working with LPM Bohemia designing and building a Tudor Royal tent of our own. This will be on display at Hampton Court Palace in the summer. If you are a member of Historic Royal Palaces and would like to learn more, why not join us on Monday 6 August for a talk describing this process of experimental archaeology in more detail. Portable Palaces: Royal Tents and Timber Lodgings 1509-1603 is supported by the Arts and Humanities Research Council. How was it held up? Is there a center pole, hub, and pokes? A hoop at the shoulder? This question is very interesting, but not easy or straightforward to answer. The tent has a wooden “pot” attached to the topmost of the canvas roof with nails. The “pot” has a large circular slot in the bottom, presumably for inserting a king pole. It has a smaller slot in the top for inserting a vane, a small ornate flag. Examples, of similar metal “vanes” survive. There are also several metal hoops attached to the “pot” which could have been used to attach ropes. The tent appears to have been held up using a combination of a king pole; “crow’s foot” ropes; and the aforementioned ropes attaching to the pot. However, the tent has been restored at various stages in its lifetime, and it is difficult to ascertain exactly which features are original and which are modifications, or restorations. Does anyone know what may have happened to all of the tents used for The Field of the Cloth of Gold (France), organized by Cardinal Thomas Wolsey for Henry VIII and the French King?